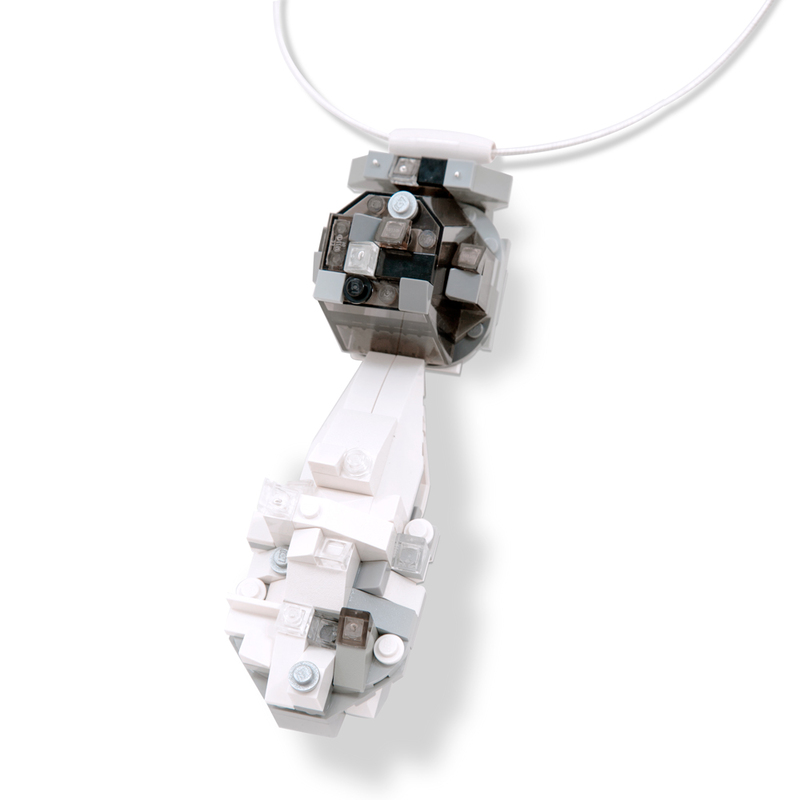 La Reine de Pèlerin necklace with "Pearl"
Les Voyageurs de Temps (The Time Travelers) series utilizes the 21st century, heirloom-worthy quality of LEGO® (used and repurposed) in place of precious gemstones and metals. 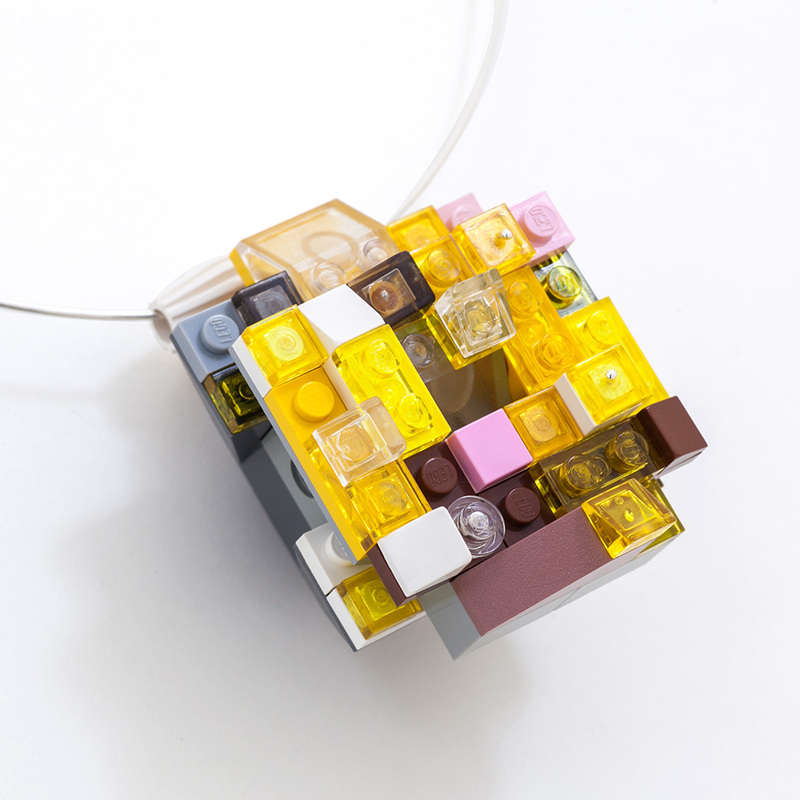 A timeless toy, globally treasured by many adults and kids alike, the vintage pieces gain considerable value with age and yet work in perfect unison with newly manufactured generation of LEGO®. 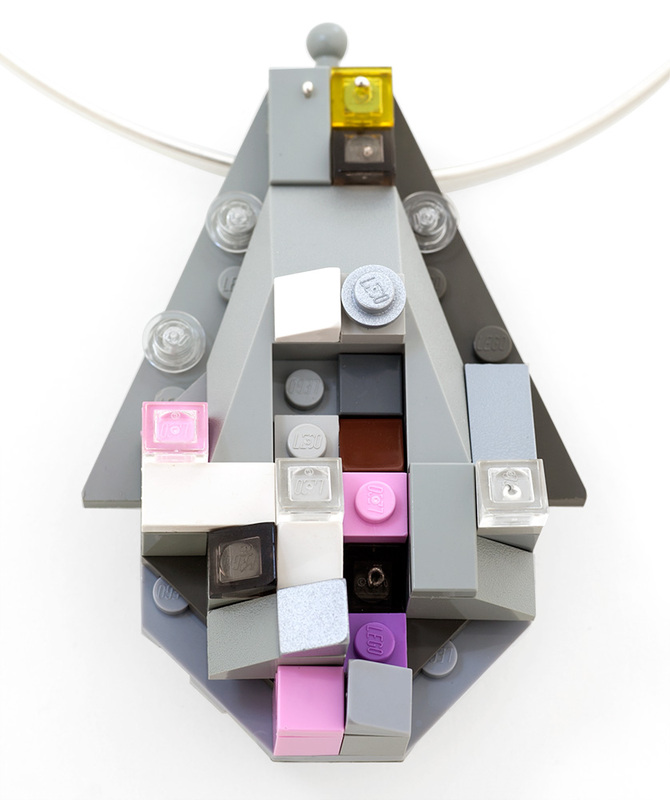 Anyone who has ever owned or played with LEGO® has their own nostalgic bank of memories to pull from and feel compelled to share with others. 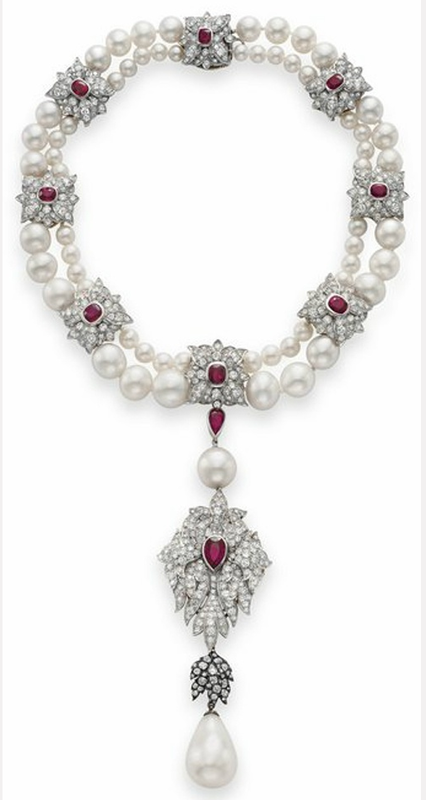 La Reine de Pèlerin, (The Pilgrim Queen), is a nod to Cartier’s La Peregrina, with its detachable pearl pendant and stately presence. 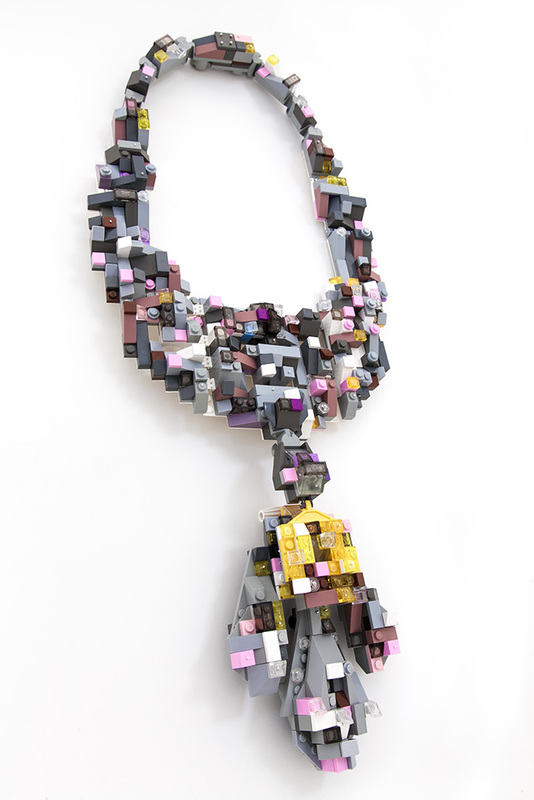 La Cérémonie de la Mémoire (The Ceremony of Memory) is another multi-pendant, convertible necklace, and whispers of the Maharajah’s Ceremonial necklace. Its design a deliberate, pixelated replication of Cartier’s 21st century version, mirroring our digital lifestyle, often experiencing life not in the flesh, but via a pixel-rich lens. The mid-section has been omitted, the entire picture “fuzzy”, just like our memories often serve us. 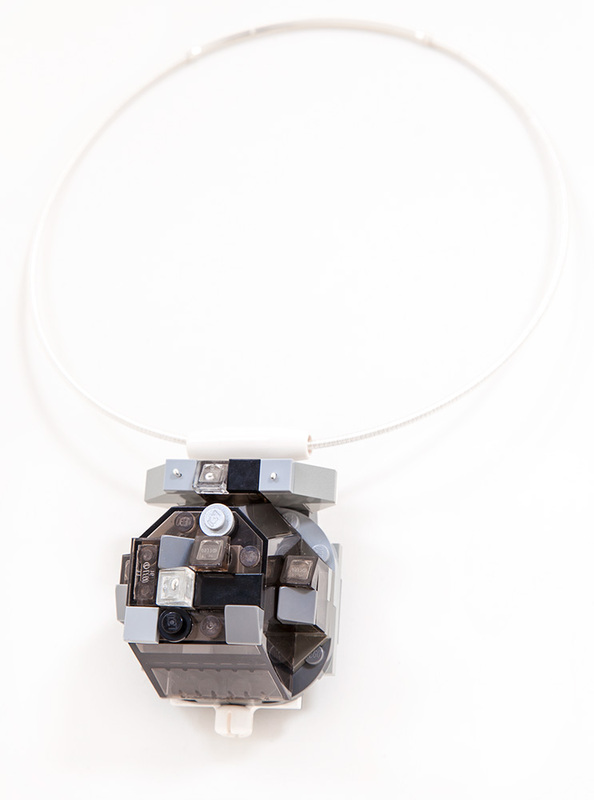 Repurposed & recycled LEGO®, Argentium silver, coated copper wire, coated steel cable. 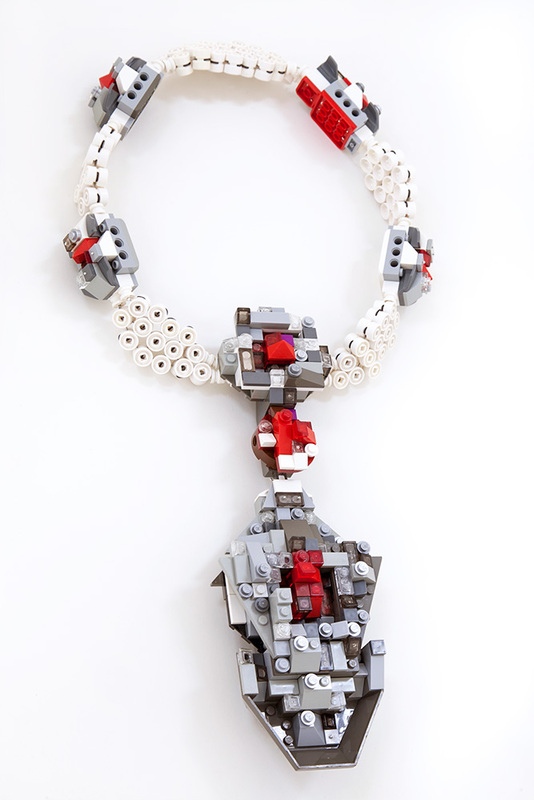 Inspired by Cartier's La Peregrina necklace for Elizabeth Taylor, 1972. 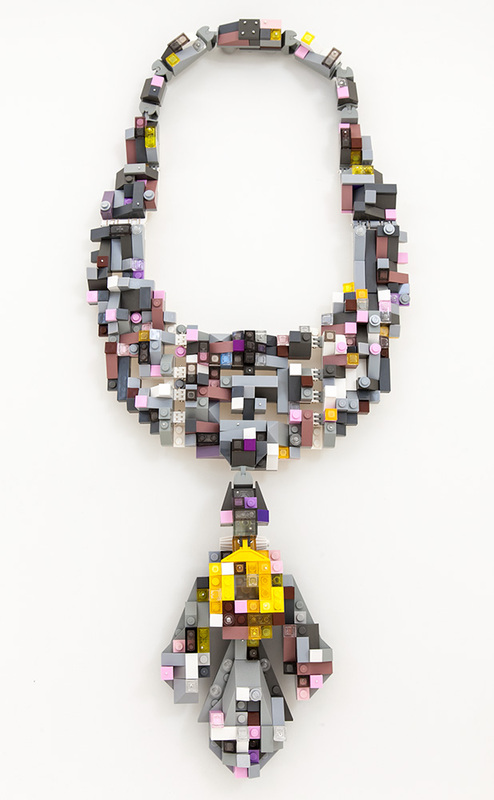 Recycled and repurposed LEGO®, Argentium and sterling silver, fine silver tag. 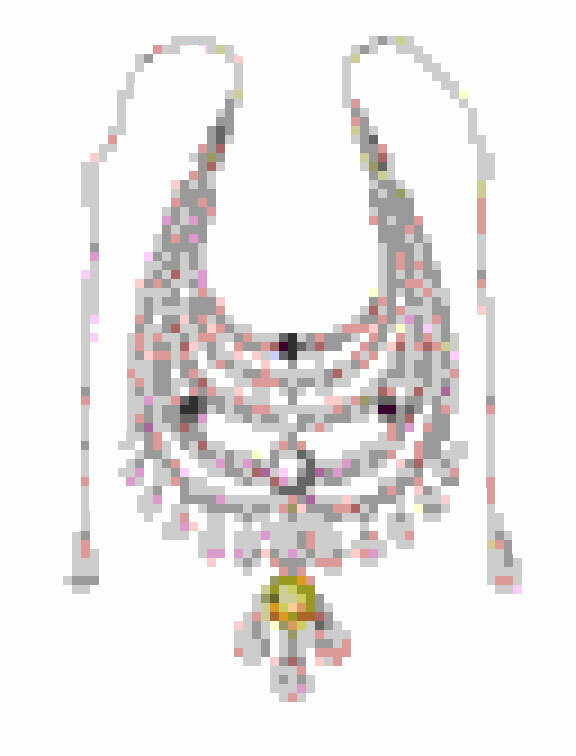 Inspired by Cartier's Ceremonial necklace commissioned by Maharajah Sir Bhupindra Singh of Patiala,1928. 11 7/8"L x 9 1/4"W x 5/16 -5/8"D.